The Primary School currently has 550 students, offering education from kindergarten through eighth grade. The subjects taught are those found in any Western school, including English. All students must wear a uniform, approximately $10/student, in order for the school to receive government accreditation. (All uniforms are made in our vocational school, saving us approximately $9,000 per year. 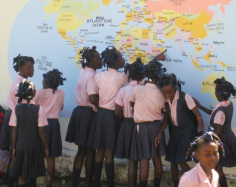 )The cost to support a primary school student is approximately $100/year. All Primary School students receive a noon meal on school days (not included in the costs listed above). The Secondary School offers education from grade nine through 12, with uniforms provided. The cost to support a secondary student is approximately $250/year. After the earthquake that occurred in 2010, the population of Grison-Garde swelled, with family members migrating from the affected cities to rural areas like Grison-Garde. To respond to the needs of this growing community, we worked with the Building Goodness Foundation to add nine new classrooms, a computer lab and office space to the school in 2015. As a result, student enrollment has now reached 700 in the secondary school. 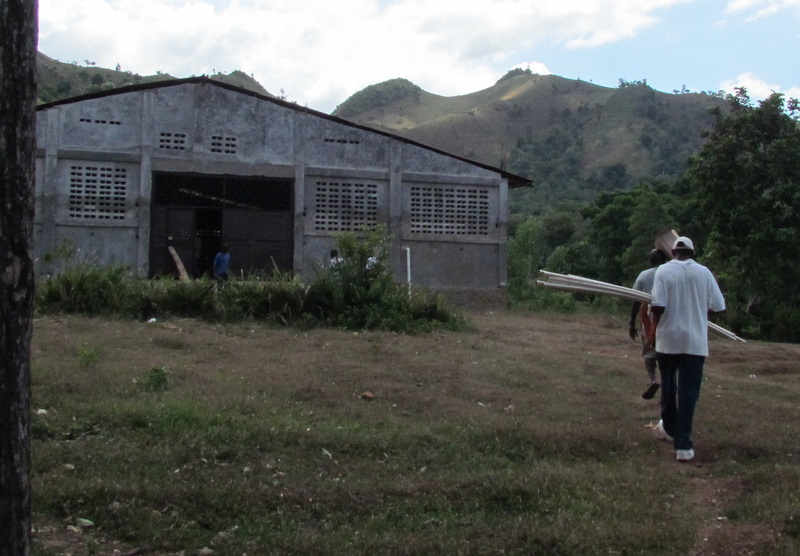 A separate vocational school, named the "Rita-Christine Vocational School", was built thanks to the generosity of a single donor. Its mission is to focus on teaching skills necessary to provide for the community and to prepare the student for his/her life as a contributing, productive adult. Classes in sewing and hand-carpentry are now in session and courses in mechanics, welding, masonry and computers have been ongoing for eight years. Fifteen treadle-type sewing machines are on hand and both instruction and uniforms for sale are currently offered. Funds have been donated for hand carpenter’s tools and carpentry classes have begun. The cost of construction of the vocational school was approximately $125,000, exclusive of equipment, and the annual operating expenses currently are $35,000. Students of all ages, including some adults, are enrolled. As with the other schools, instruction is free. In total, that's approximately 2,000 children educated with the help of Ford Foundation donors.